you have giggled through that whole book." It's easy to feel at home in Mitford. In these high, green hills, the air is pure, the village is charming, and the people are generally lovable. Yet, Father Tim, the bachelor rector, wants something more. Enter a dog the size of a sofa who moves in and won't go away. Add an attractive neighbor who begins wearing a path through the hedge. Now, stir in a lovable but unloved boy, a mystifying jewel theft, and a secret that's sixty years old. Suddenly, Father Tim gets more than he bargained for. And readers get a rich comedy about ordinary people and their ordinary lives. 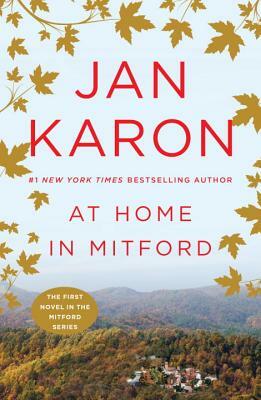 Jan Karon is the #1 New York Times bestselling author of fourteen novels in the Mitford series, featuring Episcopal priest Father Tim Kavanagh. She has authored twelve other books, including Jan Karon's Mitford Cookbook and Kitchen Reader, and several titles for children. Jan lives in Virginia near the World Heritage site of Jefferson's Monticello.